MUSKEGON — As a result of the challenging economics of maintaining decades-old coal plants, communities nationwide have wrestled with how to replace lost tax revenue and repurpose large industrial brownfield sites when those facilities close. For the B.C. 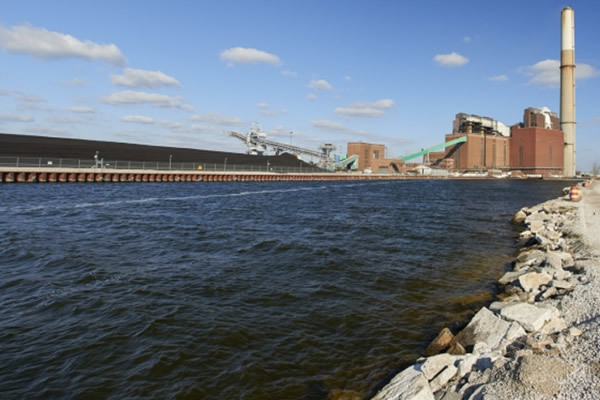 Cobb coal plant in Muskegon, whose towering smokestack is an unmistakable feature along the east end of Muskegon Lake, Consumers Energy has selected North Carolina-based Forsite Development Inc. to capitalize on the site’s deep-water dock location. “We think there’s a lot of potential” for a cross-lake shipping route, one that could support more agricultural food processing in the area, McKittrick said. When the Cobb plant shut down in April 2016, officials voiced concerns about jeopardizing federal funding for harbor dredging if shipments through the port fell below the annual 1 million ton threshold for commercial ports. However, local officials involved with the B.C. Cobb project say federal lawmakers have spent the past year making that requirement more discretionary and based on a formula, and aggregate shipments to the port have since increased to replace the loss of coal. In addition to its unique shipping port, Muskegon also drew McKittrick in with its “massive” wastewater treatment plant east of U.S. 31, which he believes can help support agricultural processing facilities. McKittrick, who is originally from Indiana and has spent much of his career in commercial real estate, wants to transform the Cobb site into an industrial park that is tied to the wastewater treatment plant. Any kind of vertical development has been largely off the table due to the unstable soil at the site. In late April, Consumers announced a plan to offer Forsite $1 million to take over the property, decommission and demolish the site and remove environmental contamination. Because Consumers is divesting electricity-generating assets in Muskegon and at the J.R. Whiting coal plant in Monroe County, the plan is subject to approval by the Michigan Public Service Commission. A preliminary hearing is scheduled for May 31 and a final decision will come within 180 days of the filing. Consumers Energy spokesperson Roger Morgenstern is optimistic the plan will receive approval before the end of the summer. It will take roughly two years thereafter to demolish the site. Morgenstern said the roughly 60 employees at the plant have relocated to other Consumers facilities in West Olive and Ludington, or have retired. According to MPSC filings, Consumers said it would be cheaper to leave the decommissioning and demolition to Forsite rather than perform that work itself. The utility first announced plans to close the Cobb plant in 2011. Since then, the debate over coal plant economics has largely turned political. 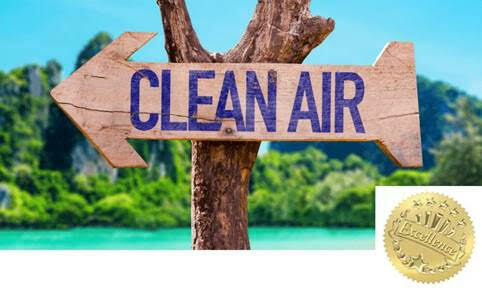 Republicans criticize the Obama administration for stringent air pollution regulations that are leading to widespread closures, and thus a downturn in the U.S. coal sector. However, the prevailing thinking among industry analysts and utilities holds that the decline in natural gas prices, in particular, has made coal less attractive. “We felt that continued investment in these older coal plants is not in the best interest of our customers,” Morgenstern said. Along with DTE Energy, Consumers has shifted investments toward natural gas plants and infrastructure, as well as to wind and solar projects. Officials with Michigan’s two largest utilities have said publicly this transition was happening regardless of how the Trump administration aims to change U.S. energy policy. Erin Kuhn, executive director of the West Michigan Shoreline Regional Development Commission, said the B.C. Cobb redevelopment could be transformational for the city of Muskegon, as the port has been identified in numerous reports as a regionally significant economic driver. That it’s taking place at a former coal plant is all the more symbolic. “We’re helping the community redefine the next phase of Muskegon Lake as an economic engine for that community and region,” Kuhn said. Founded in 2004, Forsite specializes in acquiring industrial properties and returning them to use with an emphasis on environmental preservation and creating “ecological assets,” McKittrick said. Adding clean energy features to these sites is part of what the company describes as “eco-industrial” redevelopment. Forsite’s ReVenture Park project in Charlotte, N.C., for example, included extensive habitat restoration projects, a major aquaculture facility and a biomass plant. Forsite broke into this particular type of redevelopment as “surplus real estate” in the Carolinas became available when textile furniture manufacturing moved overseas, McKittrick said. Now, the energy transition happening nationwide — a shift that relies less on coal and more on natural gas and renewable energy — is creating similar opportunities, he said. McKittrick said Forsite has acquired three coal plants in North Carolina and sold two of them to a biomass developer. Specific features for the Cobb property remain unknown at this point. Renderings provided by the company show the potential for solar energy generation, which McKittrick said would have to be owned by Consumers Energy. Wetland restoration could be another component. While the company is not taking the coal ash storage impoundments at the site, Forsite will oversee the abatement of asbestos and other contaminants. “There’s a multitude of environmentally sensitive projects that we can weave into one of these projects that aren’t necessarily adding a lot of cost, but are putting areas of sites to good use that are otherwise unusable,” he said.